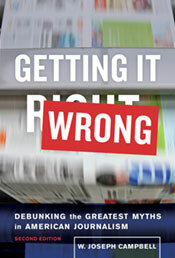 In this expanded second edition of Getting It Wrong, Campbell renews his debunking of prominent media-driven myths. The book includes new chapters about the legendary Kennedy-Nixon debate of 1960, the Napalm Girl photograph of the late Vietnam War, and bogus quotations driven by the Internet and social media. 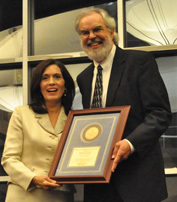 Campbell is a past winner of the Society of Professional Journalists' national award for Research about Journalism for his book, Getting It Wrong. 'Faculty Member of the Year' award. W. Joseph Campbell is a tenured full professor in the School of Communication at American University in Washington, D.C. He entered the academy after a career as a newspaper and wire service journalist; he filled reporting assignments that took him across North America and to Europe, West Africa, and parts of Asia. Campbell joined the AU faculty in 1997 and has since written six books, including 1995: The Year the Future Began (2015) and two editions of the media-mythbusting work, Getting It Wrong (2010, 2017). "Remarkable," one critic said of 1995. "Compulsively readable" wrote another. About Getting It Wrong, Commentary magazine said: "It may be the best book about journalism in recent memory; it is certainly the most subversive." 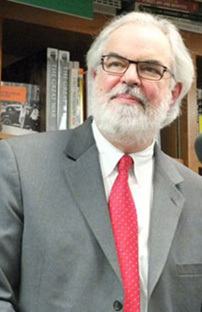 Campbell has discussed his research at the Library of Congress, the Newseum, the Smithsonian Institution, the New York Public Library, and with a variety of national and international news media. He has been an invited lecturer at several major universities. He also has written The Year That Defined American Journalism: 1897 and the Clash of Paradigms (2006). Campbell's first book, The Emergent Independent Press in Benin and Côte d'Ivoire: From Voice of State to Advocate of Democracy (1998), examined the wellsprings of independent-minded journalism in francophone West Africa. His second book, Yellow Journalism: Puncturing the Myths, Defining the Legacies (2001), challenged prominent myths and misunderstandings of the yellow press period in the United States at the end of the nineteenth century. He also is the author of The Spanish-American War: American Wars and the Media in Primary Documents (2005). 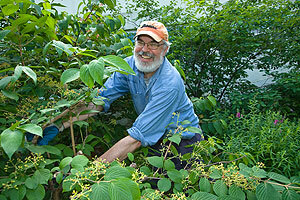 Campbell earned his Ph.D. in mass communication at the University of North Carolina at Chapel Hill. His research has been published in Journalism and Mass Communication Quarterly, American Journalism, Journalism History, Editor & Publisher, and American Journalism Review. Campbell has won national awards from the Society of Professional Journalists, as well as AEJMC and the American Journalism Historians Association. His assignments as a professional journalist included covering nuclear arms negotiations in Geneva, youth unrest in Swiss urban centers, the challenge to communist rule in Poland, political upheaval across West Africa, and the consequences of the world's deadliest industrial disaster at Bhopal, India. two days a week with the AU groundskeeping staff.